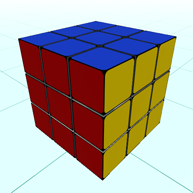 A Rubik's cube scripting example I have recently came to an idea of a Rubic's cube as a nice scripting example. Rubik® and Rubik's Cube® are registered trademarks throughout the world of Seven Towns Limited. 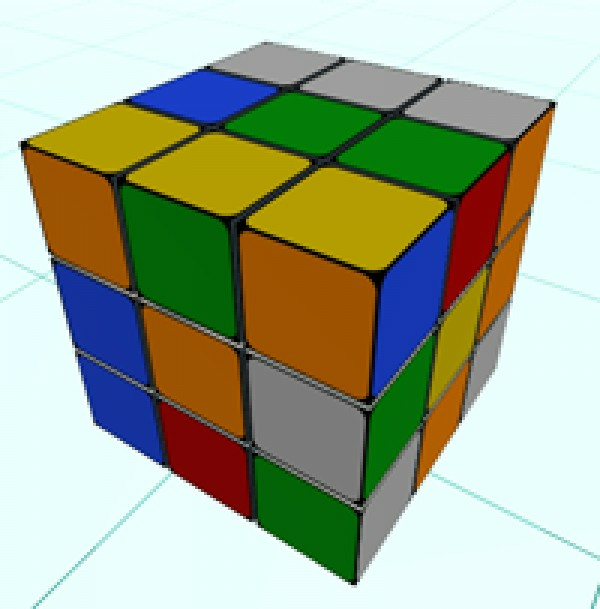 Seven Towns Limited is the exclusive licensee of copyright in the Rubik's Cube puzzle. 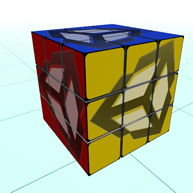 This post regards to Unity3d cube mechanism scripting example, not the game itself. My idea of scripting the cube movement is based on selecting the relevant rows of cubes, placing them in rotation container, rotating container and putting it back from the container to the cube. In my example I made use of the fact that the same script can run cubes of different sizes and you can also set it here to any integer starting from 2. People cope with with Rubic's with at various levels of ease and the script lets them to train on small sizes to slowly work out the algoritmh and then move to bigger sizes. 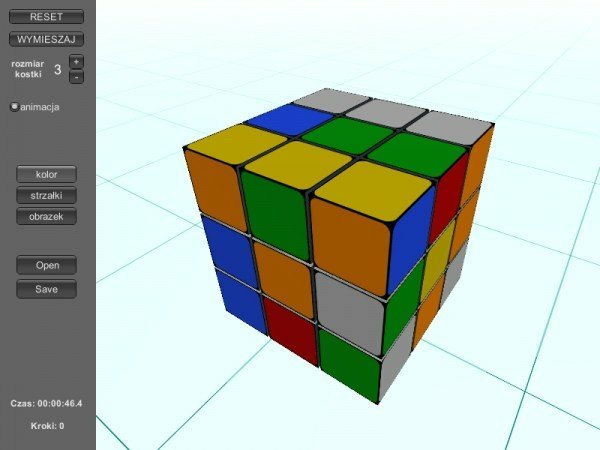 After setting the size you need to reset the cube in order to apply the new size. 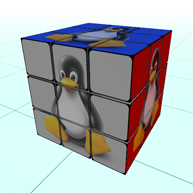 You can adjust the view of the cube by dragging the mouse over the application window and scrolling the mouse in order to zoom in/out. That way the only limit to the size – whether 2x2x2 or 10x10x10 or anything is the machine’s performance. mmmm… i already try that but doesn’t working, for colour it’s okay but for number i don’t think it is working…?? 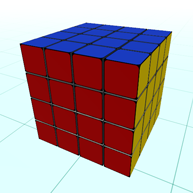 i try modify your cube to be sudokube (numeric cube).. i’ve working many times but it doesn’t working… any advice…?? You are right, I have just opened that and made some settings in the inspector, because it didn’t work they way I intended. And I have reuploaded again, so check again and let me know. Basicaly it should work straightaway once you open the scene and enter the play mode. Yes the upload is updated now. So when you start the playmode, the default playable 3x3x3 cube should appear. But don’t look for any meshes there, because there aren’t any because the mesh is procedurally generated so can only appear at runtime or playmode. ChÃ o PhÃº, sau khi há»c xog 2 nÄƒm táº¡i FPT Poeitlchnyc, em cÃ³ thá»ƒ liÃªn thÃ´ng nhá»¯ng trÆ°á»ng Äáº¡i há»c cÃ³ cÃ¹ng ngÃ nh vÃ nháº­n tuyá»ƒn liÃªn thÃ´ng em nhÃ©. yap… i know already about meshes it was procedurally generated so can only appear at runtime or playmode…. mmm are you sure about reupload the new file..?? the file, it’s only 1.2 MB but when i open the file it’s only 0 KB…. file download “Download Unity3d package (40387) |uploaded 2012-12-16” is it right.?? i’m sorry if i made a mistake.. Yes, I now am sure, because I’ve tested that. I have Unity 4.2 Pro but this should work the same in the free version. I’ve created a new project, then imported this as the custom package, opened the included scene, entered the playmode and the 3x3x3 cube has appeared!. No, wait a minute, still there is something wrong with it. Something went wrong on some WordPress or WordPress plugins update, but looks like I have fixed that, and should work fine again. 1. if you wanna put some number 1 to 9 in some cube, what vector you want to change to put that number.? 2. for algorithm, what do you suggested as solver..?? I’ve been try genetic algoritm and that’s quite good as solver. 1. There is a tree texture there – replace that with your own numbers texture and you will have numbers. 2. 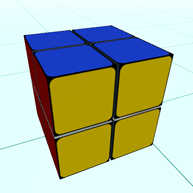 There is no solver there, just a function that checks if the cube is solved after each move, but I know there are cube solving algorithms and not much more – to be frank. How can I change the mouse control to swipe control sir? I’m seeing Purple Triangles in Unity3d 2017 – maybe a mesh disappeared? Purple triangles – mean a material/shader problem. I wouldn’t mind. It would also be great to make it to work on touches. Possibly If I get some time (and motivation) – I would get back to it sometime. Thanks! – I will link to your site. I have finished the conversion to C#… it was a long day. I solved the problem – had to add the shader in the Graphics settings for standalone. Now I’m trying to optimize for mobile. 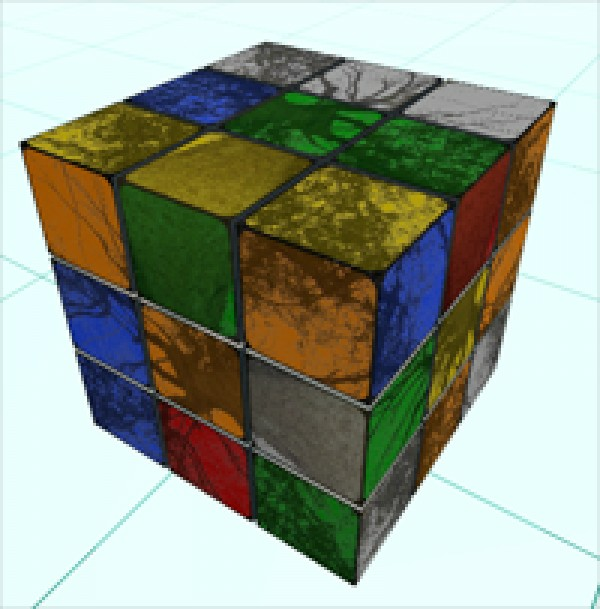 To be clear, do we have the equivalent to an MIT – License with regards to the Rubiks Cube code? But I have assumed at the time at publishing it that Rubiks Cube is one thing – and I lave put the MIT licence hare – and the Rubiks Cube game idea itself is the second thing, which I have not sorted out – in fact. 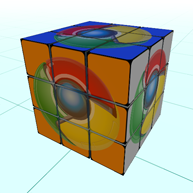 But I have seen a number of Rubiks cube apps on the web, and haven’t seen any licensing references there.